Growing indoor plants is a great way to add color and vitality to your home. Choosing some of the best smelling indoor plants is an even more wonderful way to brighten and freshen up any room! My favorite thing about growing fragrant indoor plants is that you can bring a little of the outdoors inside. Some plants smell even more wonderful indoors than they do outside! Enjoy my guide to the 15 best smelling indoor plants that will leave your home smelling divine! The Gardenia plant has some of the most amazingly fragrant flowers! The gorgeous white blooms look lovely nestled in among the glossy dark, green leaves. Although often grown outdoors, Gardenias can be successfully grown indoors as well. Give them the growing conditions they need, and they’ll bloom for you in summer and into the fall. Gardenia’s need a lot of light. The ideal light conditions are at least 6 to 8 hours per day. South and south-west windows in your home are best – just keep them out of direct hot heat during the warmer summer months. Gardenias prefer warm daytime temperatures and cooler nights of about 55°F to 60°F (13°C to 16°C). The cooler nights are necessary for the plant to produce its blossoms. Perhaps more than any other plant on this list, Gardenia’s need a great deal of humidity. Make sure to mist the leaves every day, avoiding the flowers and buds if possible or they may discolor. Gardenias like soil that’s a bit on the acidic side and that’s well-draining. Use a mix of peat moss, coarse sand, and a bit of acidic compost. Add a bit mulch over the top layer of soil to keep the soil moist. Pots should have ample drainage so that water doesn’t collect at the bottom of the pot and cause root rot. Fertilize during spring and summer with a 15-15-15 mix of nitrogen, phosphorus, and potassium. Never overwater Gardenias…water just enough to keep the soil evenly moist all the time. You can water a little less during the winter months when Gardenias slow down their growth. Don’t be disappointed if your Gardenia doesn’t bloom in the first year. Be patient and make sure that all of the growing conditions are met and your Gardenia will be producing lovely smelling flowers in no time. 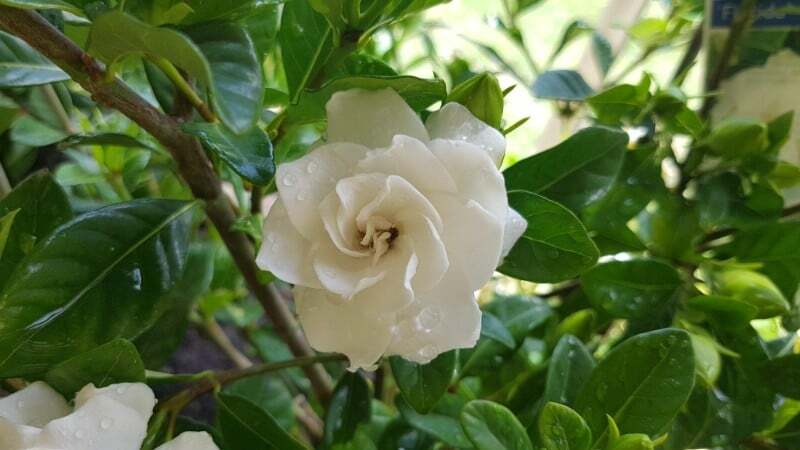 Read more about caring for Gardenias in my in depth gardenia care guide. The combination of the beautiful flowers and wonderful scent of Gardenias make them a real favorite of mine. You can buy Gardenias on Amazon and have them delivered direct to your door. While some Geraniums have no scent, others have a very unique fragrance that can fill a room with the scent of lemon, lime, rose, and even nutmeg. And Geraniums are beautiful plants, with their unique shape of leaves. Geraniums can be grown both indoors and outdoors…but when you bring them indoors, that’s when you can really notice their lovely aroma! Geraniums need plenty of bright light when they’re grown indoors. In the winter they’ll need direct light to keep them growing and thriving, so they get ready to bloom again the next year. The best indoor temperatures for Scented Geraniums are between 65°F to 70°F (18°C to 21°C) during the day and 55°F to 60°F (13°C to 16°C) at night. Scented Geraniums enjoy high humidity but avoid misting their leaves. Instead, place pots over trays that are filled with gravel that’s covered with water to increase the humidity level. 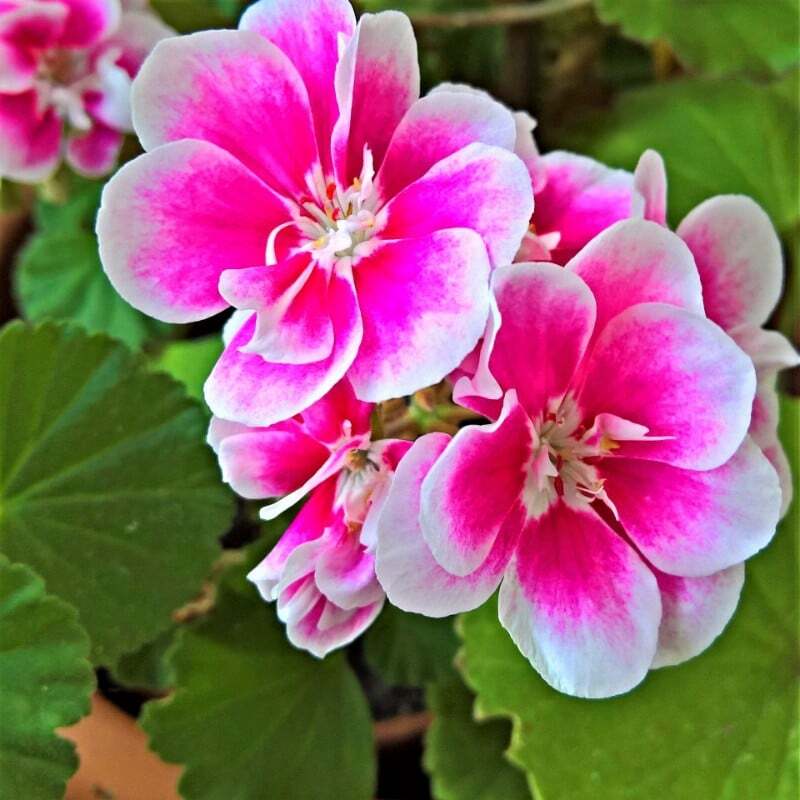 Scented Geraniums do best in commercial potting soil with a bit of perlite mixed in so that the soil drains well, and the roots get enough air flow. Fertilize with 20-20-20 water soluble fertilizer every two weeks to keep this plant healthy. Let Scented Geraniums dry out between watering, waiting until the top 1-inch of soil is dry before watering again. Water from below if possible. During the winter months, water the plant less often, letting it dry out even more and keeping just slightly damp. Enjoy the leaves and scent of your Scented Geranium. Touching the leaves will release even more of their fragrance. When you walk into a room that contains a citrus plant you can’t miss its fresh, citrus scent. Whether it’s lime, lemon, or orange, indoor citrus plants are some of the best smelling indoor plants, and a great way to freshen your home. You can easily grow citrus trees inside! All they need are good light, some humidity, soil that drains well, and ample watering. Citrus trees need a lot of light, so they grow strong and healthy. Place citrus trees in a window that faces south or southwest so they get at least 8 to 12 hours of light each day. Citrus plants do best in temperatures between 55°F and 85°F (12°C and 29°C). Citrus plants enjoy some humidity. A quick and easy way to add humidity is to place the plant pot over a layer of gravel or small pebbles. After watering the plant, the drained water will collect in amongst the gravel, providing the plant with humidity and airflow. Use soil that is well-draining. To improve aeration add, small hard-wood chips. Citrus plants need soil that is moist but not saturated in water, otherwise they may suffer from root rot. Check soil every couple of days to see if the plant needs watering. Sometime citrus plants need a little encouragement to bloom. One way you can get a stubborn citrus plant to flower is by making sure nighttime temperatures are little lower than daytime, at about 50°F to 55°F (10°C to 12°C). 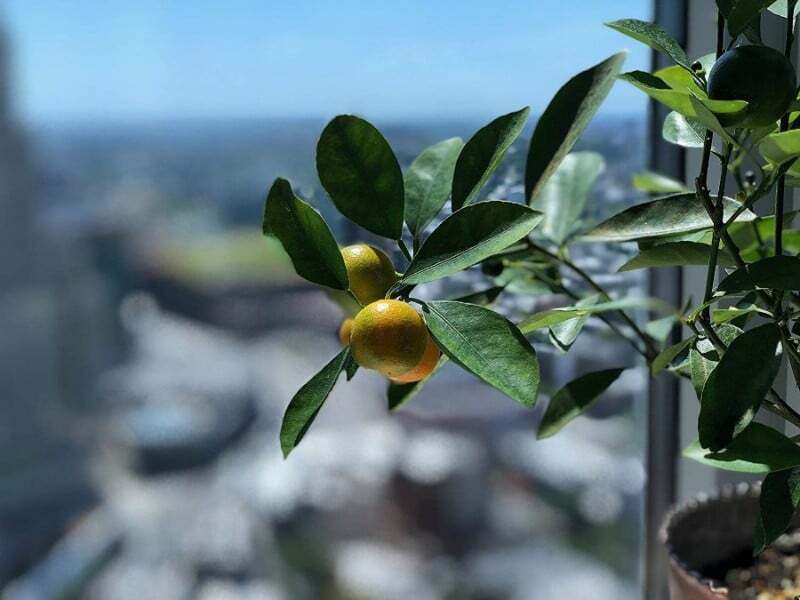 Learn more about how to care for an indoor orange tree with this detailed article which will teach you everything you need to know to grow amazing orange trees indoors. I’d highly recommend Calamondin orange trees for their beauty and wonderful fragrance. You can buy one on Amazon here. Lavender isn’t just a beautiful looking plant, it smells wonderful as well! The relaxing and gentle fragrance is very distinctive and one that can permeate a room with its subtle scent. Often grown outdoors, lavender is a wonderful plant to bring indoors as well. When growing lavender indoors, choose smaller varieties that are better for growing in pots. English lavender is a good choice as it has a stronger fragrance than French lavender. Lavender plants need a lot of light, so be sure to place them near a window that is south facing. If you can’t place them directly on a window sill ledge, place them as close as you can so they get as much direct sunlight as possible. Lavender loves the heat, so keep it in a warm room in winter. Also keep it in an area where there are no cold drafts. Soil should be well aerated for plenty of air flow. The bottom of the pot should have about an inch of limestone gravel in the bottom, with basic potting mix on top. Allow lavender to dry out between watering, keeping them on the dry side. A great way to enjoy your lavender plant is by trimming a few sprigs and binding them together with a ribbon. Hang upside down to dry for about 3 to 4 weeks. When dry make your own lavender sachets to scent drawers with its lovely aroma. 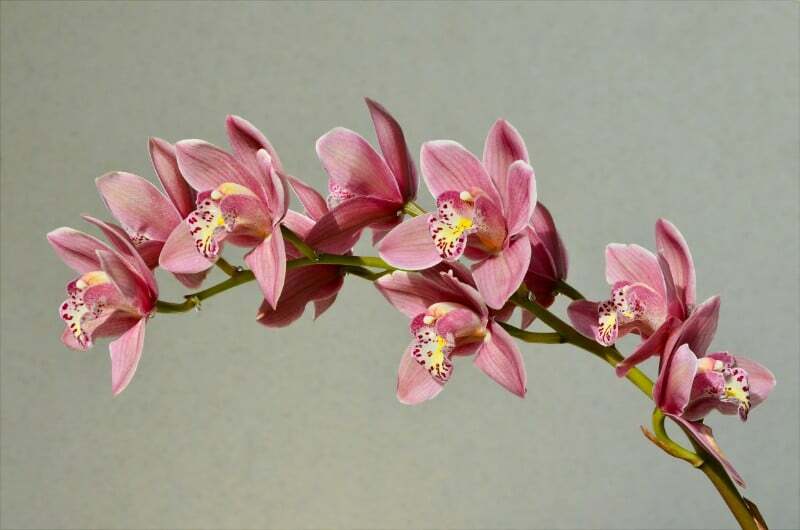 Even though orchids have a reputation for being difficult to grow, they can thrive very nicely if you provide them with the right growing conditions. Light conditions are dependent on the variety of orchid, with some doing well in low light, others in medium light, and others needing a lot of light. Orchids do well in daytime temperatures of 70°F to 85°F (21°C to 29°C). Some humidity is necessary for orchids to thrive. Mist their leaves once every day or set the pot over a tray of small rocks that are covered with water. Orchids shouldn’t be planted in potting soil – use an orchid mix that has lots of bark in it. These plants like to be root bound, so plant them in a pot that’s small rather than being too big. Fertilize once every two weeks with a 20-20-20 fertilizer that has been designed specifically for orchids. Try not to overwater orchids. The best plan is to water once a week, allowing the pot to dry completely before the next watering. If orchids don’t get the right amount of light they simply won’t bloom! If your orchid is refusing to flower for you, consider moving it to a location where it receives more sun and light. To bloom, orchids also need a drop in nighttime temperature that is 10 degrees less than daytime temperatures. 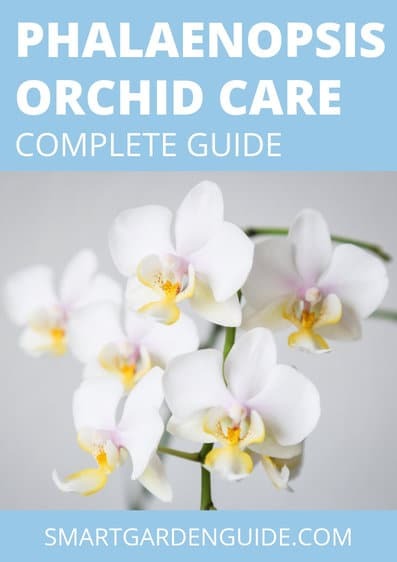 This site is filled with useful articles about growing and caring for orchids. Check out my orchid section for more info. As with Geraniums, not all Jasmine plants have flowers that are fragrant. The Jasminum Polyanthum is one that does! Its flowers give off a wonderful sweet scent at night, leaving you with the feeling that you’re living in the tropics. 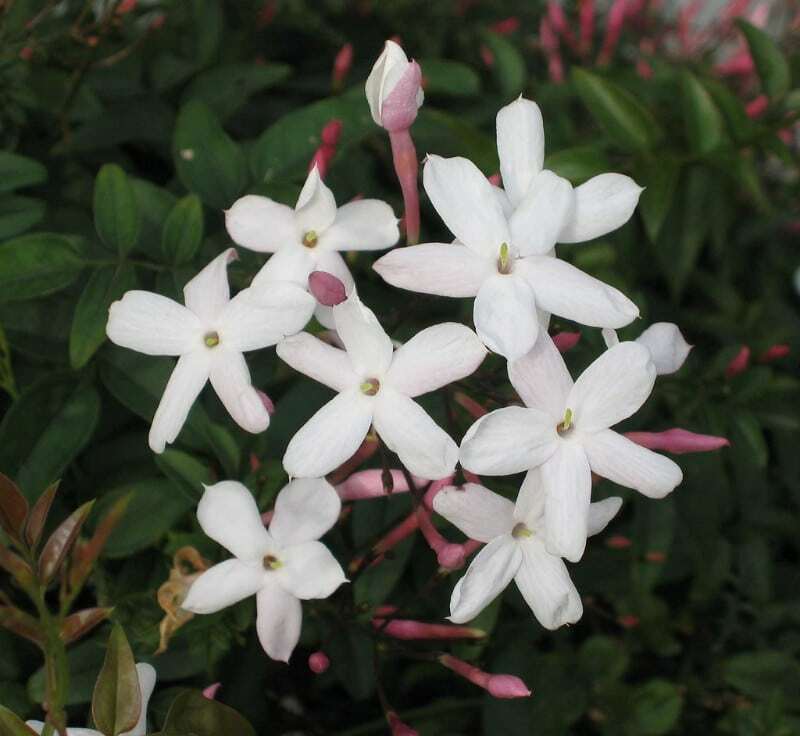 The Azores Jasmine plant also has fragrant flowers that bloom from spring through to fall, with flowers that give off a lovely scent that is similar to Gardenia flowers. Jasmine is a vine that’s usually grown outdoors. Bringing it indoors lets you enjoy it throughout your home. As with many other flowering plants, Jasmine needs a lot of light to grow and bloom. During the spring and summer months, give your Jasmine as much full sunlight as possible. During the winter, Jasmine still needs plenty of light, although it doesn’t need to be direct sunlight. If you’re comfortable with the temperature in your home, Jasmine will be as well. They’re not fussy on temperature so long as it’s not too hot or too cold. Do keep them away from heating vents and from cool drafts. Jasmine plants like humidity, so have a humidifier nearby if possible. Or place pots in a pebble-filled tray that contains just enough water to cover the stones. Use soil that has a peat base for added drainage. Fertilize during the growing season with a weak fertilizer of 20-20-20. Water your Jasmine plant only when the top ½-inch of the soil is dry. Jasmine doesn’t like to sit in soggy soil. Jasmine plants can be slow to bloom the first year you have them. Stick with it and in the second year you’ll be sure to enjoy the enticing scent of Jasmine in your home. Read more about how to grow jasmine indoors in this detailed care guide and enjoy one of the best smelling indoor plants in your home for years to come. The freshness of lemon balm is a lovely addition to any room in your home. Keep the plant by an open window in warmer weather – the flow of air will help release the lemon scent from the leaves. Lemon balm is just as easy to grow indoors as it is outside. It just needs plenty of light when it’s inside. 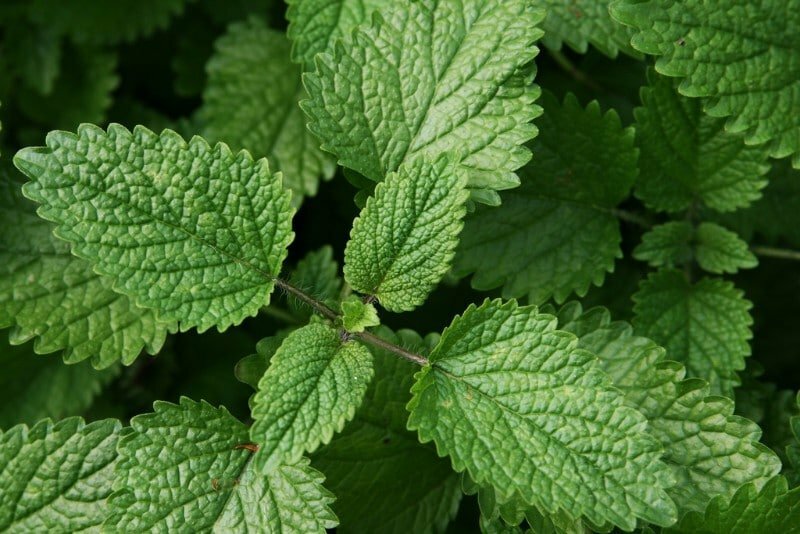 Lemon balm does best in bright light to keep it growing and healthy. Bright light also encourages the plant to grow thick and bushy rather than long and spindly. Lemon Balm does well in all temperatures, being able to tolerate even low temperatures during the winter. Keep it away from direct heat to avoid damaging the leaves. You can use a basic commercial potting soil for lemon balm. The only requirement is that the pot you use should be have at least one or more drainage holes, so water doesn’t pool at the bottom near the roots. Lemon balm likes soil to be moist but not wet. In warmer weather place a few bark chips on top of the soil to keep it from drying out too quickly. Fertilize with diluted 20-20-20 fertilizer once bi-weekly in the spring and summer to keep the plant flourishing. You won’t miss the lack of flowers when you grow Lemon Balm. This lovely green plant gives off such a refreshing scent that will fill any room. The leaves are also edible and can be used in many dishes. Or add to a glass of iced water for splash of lemon flavoring. You can get Lemon Balm plants for delivery from Amazon. The blooms on a Sweet Olive plant have an exceptional scent that is hard to resist. 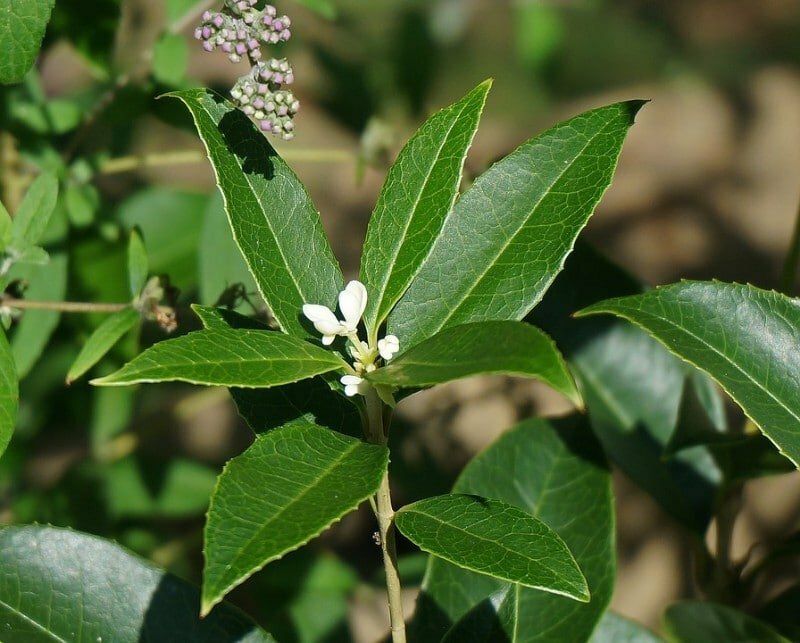 The plant itself has bright glossy leaves while the blossoms are clusters of small white flowers that have a slightly orange blossom fragrance. Caring for a Sweet Olive is easy indoors as well as outside. Give the plant the right conditions to grow and you’ll be rewarded! Sweet Olive plants enjoy a lot of light – place them near a south or west facing window for ample sun. During the hotter summer months, to avoid too much heat, you may need to move your Sweet Olive to a location in your home that gets partial shade during the day. The Sweet Olive prefers cooler temperatures, especially at night. It’s these cooler temperatures that will encourage the plant to bloom for you. The best soil for the Sweet Olive is well-draining soil that is slightly acidic. It will adapt to most soil conditions but may refuse to flower for you if there’s not enough acidity. Water when the top 3-inches of the soil are dry, usually about once a week. During warmer weather you may need to water more often to keep the soil from getting too dry. The Sweet Olive won’t start blooming until it’s about 6 inches tall, so either buy a plant that’s ready to bloom or have patience if you’re growing one! Here is an ideal size of plant to purchase if you want to enjoy their wonderful fragrance straight away. They will usually bloom during spring and into the summer months. 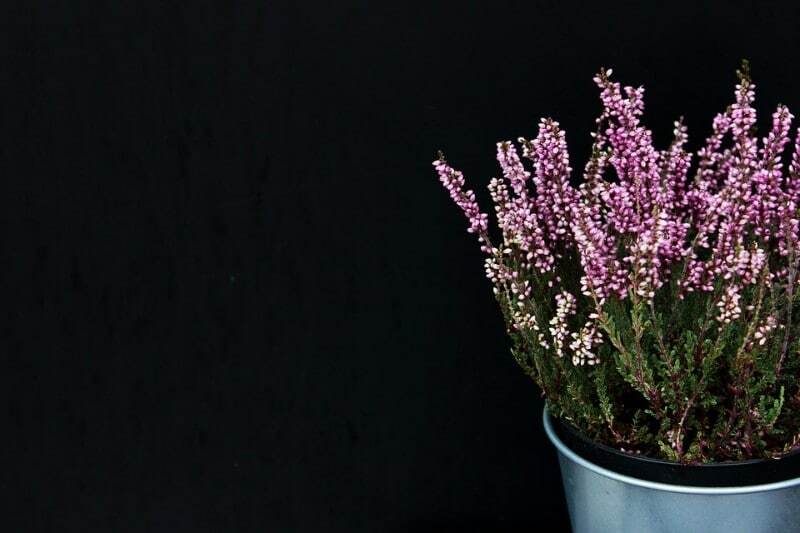 Although you won’t get flowers from mint and spearmint, what you will get is a lovely scent that can fill a room, especially when a slight draft or breeze is blowing. There’s a huge variety of mint and spearmint for you to choose from, all with the fresh scent of mint. 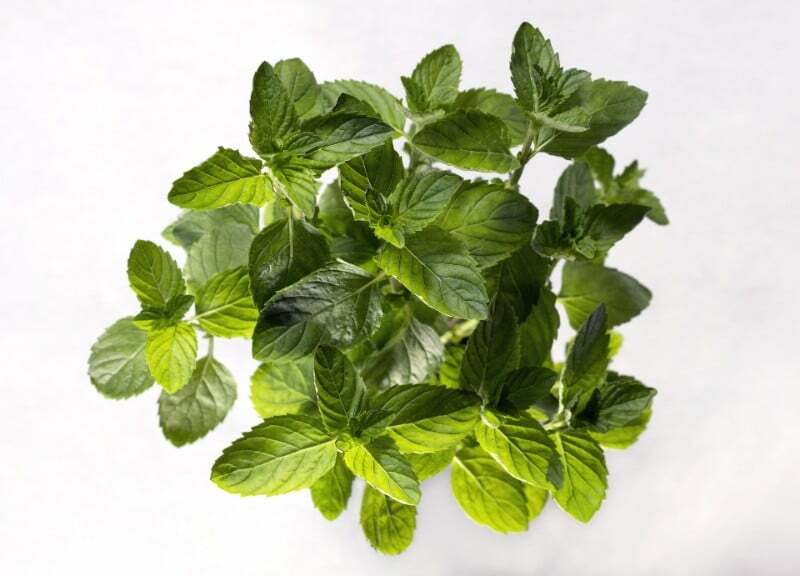 Commonly grown in outdoor herb gardens, mint is just as easy to grow inside. Be sure to trim back the leaves by pinching off the tips and any flower buds that start to grow. These flowers don’t have any scent and are just a sign that your mint plant is getting too stringy. Place mint and spearmint plants in a bright location with lots of indirect sunlight. East facing windows are ideal as they provide cool sunlight in the morning. Mint plants prefer temperatures of 65°F to 70°F (18°C to 21°C) during the day and 55°F to 60°F (12°C to 16°C) at night. Soil for mint plants should be basic potting soil that drains well. A good choice is a combination of soil, peat, sand and a bit of perlite. Fertilize with a 20-20-20 fertilizer only if the plant starts to look droopy and dull. Water to keep your mint plant moist without overwatering. Enjoy the lovely mint smell…and taste! Not only do mint and spearmint plants add a wonderful fragrance to your home, you can also use the leaves in your kitchen! Snip off leaf sprigs to add to meals or to make mint tea. The fragrance of Lily of the Valley is truly amazing! The little bell-shaped flowers have a perfume scent that is easily recognizable. Lily of the Valley is easy to grow inside either all year round or over the winter. Lily of the Valley needs lots of bright light so place pots near windows that get a lot of sunlight every day, from 6 o 8 hours. If possible, these plants like to be in an area that has a lot of air flow. The ideal growing temperatures for Lily of the Valley to thrive is 60°F to 70°F (16°C to 21°C). The best soil for these plants is one that drains well. Mixing a bit of peat moss with basic potting soil will work just fine. Fertilize with a half-diluted solution of water soluble fertilizer when the plant is in its growing stages. Avoid fertilizing during late fall and winter when the plant is dormant. During the growing season, in the spring and summer, water your Lily of the Valley so that the soil is damp and moist without saturating the soil with water. When new shoots start to come out of the soil, water a little less to avoid root rot on the new growth. Just keep the soil damp. When outdoors, Lily of the Valley typically blooms during the spring. When you make this plant an indoor plant, when growing conditions are just right, you’ll be able to get it to bloom even in the winter. 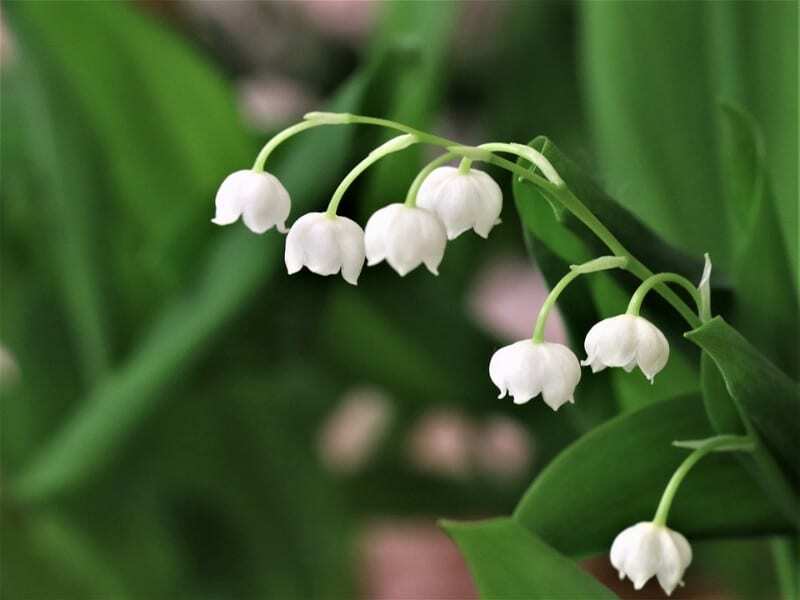 An important note: both the leaves and flowers of the Lily of the Valley are extremely poisonous to humans and pets. 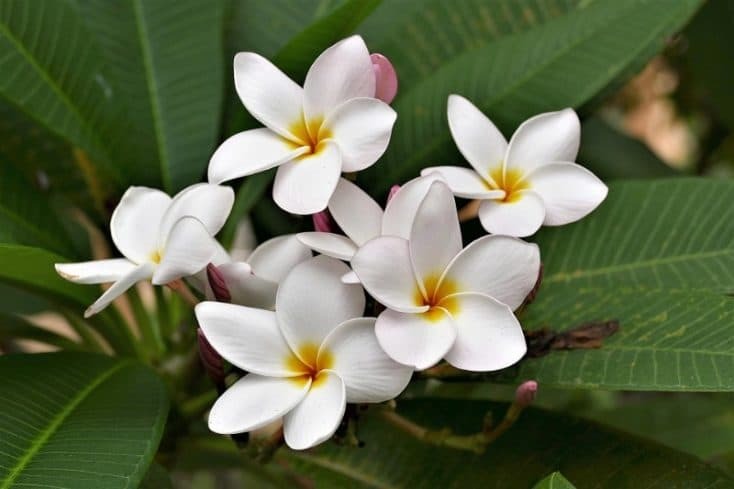 Plumeria is tropical plant that’s grown for its incredible fragrance and gorgeous flowers. You’ll recognize Plumeria – these flowers are used in the making of Hawaiian leis. Flowers come in a variety of different shades of colors including white, yellow, red, pink, and orange. Typically found growing outside in tropical climates, Plumeria can also thrive indoors. With the right care, these plants can keep blooming year after year. Place near a window that gets lots of full sun, with some shade as the sun moves. Best conditions are at least four to six hours of full sun. The ideal growing temperature for indoor Plumeria is a daytime temperature of 75°F (23°C) and nighttime of 60°F to70°F (15°C to 21°C). Like all tropical plants, Plumeria needs humidity to grow and blossom. You can mist them once or twice each day, being careful to spray only the leaves and not the flowers. The best soil for Plumeria is a mixture of 1-part sand and 1-part basic potting soil. They like well-draining dirt that allows for lots of air flow. Fertilize bi-weekly with a water soluble fertilizer of 10-50-10 (nitrogen-phosphate-potassium). Give Plumeria lots of water, particularly during the spring and summer. To avoid root rot that can kill the plant, be careful not to overwater. To get this plant to bloom, it’s important to fertilize Plumeria during the growing season from spring to fall. This can encourage blossoms to grow. 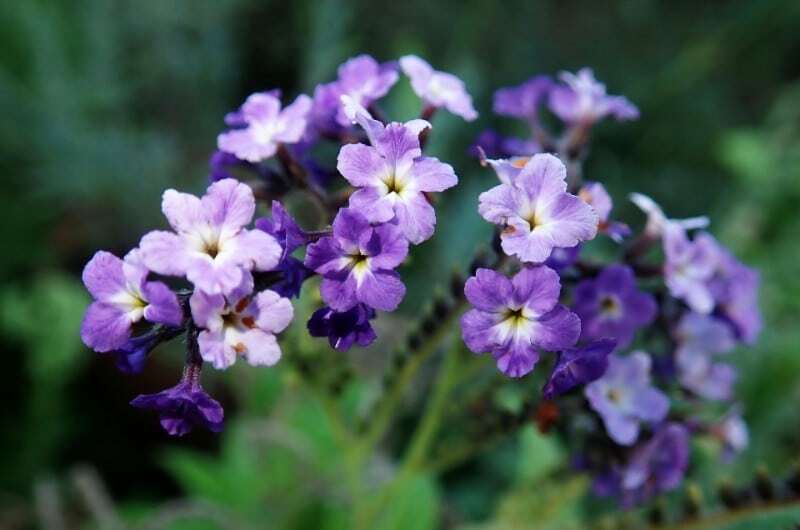 If you’re looking for an impressive plant that has flowers and smells great, put the Heliotrope on your list. The flowers will look wonderful in your home and the blossoms have an exotic scent that will remind you of vanilla. Most Heliotropes are the standard vibrant purple, although other colors are now available as well. Typically an outdoor bedding plant, Heliotrope can be nicely grown indoors as well. It also does well on patios in planters. Heliotropes will need full sun to thrive and bloom. Place them near a window that gets at least 6 to 8 full hours of sun each day. Your Heliotrope will do well in moderate home temperatures. During the winter, keep them away from any direct sources of heat. To keep Heliotropes happy during the winter months, provide them indirect humidity if possible. Otherwise the dryness of heating your home can dry out the plant too much. Trim back any dry and dead leaves to keep the plant healthy during the non-growing season. Plant Heliotropes in basic potting soil in pots that are fast-draining. You’ll need to fertilize with a diluted 20-20-20 fertilizer once a week during the growing season – once every month during the winter months. Water your Heliotropes well to keep them moist – but avoid overwatering. During the growing season be sure not to let them dry out completely – as soon as they become too dry the plant will start to die and can be hard to recover. Much as when they’re grown outdoors, Heliotropes will bloom from about mid-summer and well into the fall if the growing conditions are right. If they don’t get enough light they’ll stop blooming and rather than grow thick and full, will become thin and straggly. Hoya plants have vibrant waxy green leaves, which is why they’re also known as wax plants. But it’s not the leaves that put the Hoya plant on this list – it’s their sweet and fragrant flowers. The Hoya has clusters of umbrella-shaped flowers that emit a lovely scent which gets stronger in the evening. 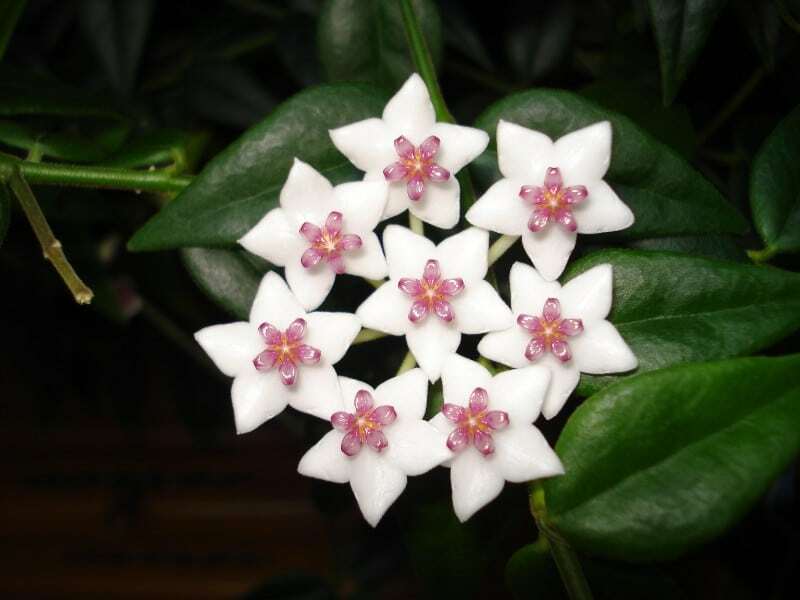 Easy to grow, the Hoya plant is one of the most popular flowering houseplants. Be patient when it comes to your Hoya flowering. While you may be lucky and have flowers in the first year, most Hoyas take a couple of years or longer before they start to throw off some flowers. Most Hoya varieties like bright light. Place near a large south or south-west window where there’s indirect sunlight rather direst. As a rule, the more bright light, the more your Hoya will bloom. Hoyas do well in a variety of temperatures. What they don’t like is to be placed near air conditioning, cold air drafts, or near heating vents. The Hoya is a tropical plant so does prefer to have some humidity – you can mist with water a few times a week. Use soil that is well-draining, with the addition of perlite or pumice. The Hoya plant prefers a smaller rather than larger pot as they like to be root bound. Fertilize with a weak solution of 20-20-20 fertilizer during the spring and summer to encourage growth and blooming. Water Hoyas when the soil feels dry to the touch. Let dry thoroughly before watering again. You can water less in winter when the plant is out of its growing season. Hoya flowers have a strong and intoxicating fragrance that makes it an ideal flowering plant for larger rooms. To get them to flower, be sure not to trim off the long tendrils of the plant – this is where new leaves and flower clusters form. My favorite variety of Hoya is the Hindu Rope Plant, a compact, trailing variety of Hoya. I’ve got another article which goes into all the detail of how to care for a hindu rope plant (hoya carnosa compacta). Another plant with no flowers that is wonderfully scented is the Eucalyptus. 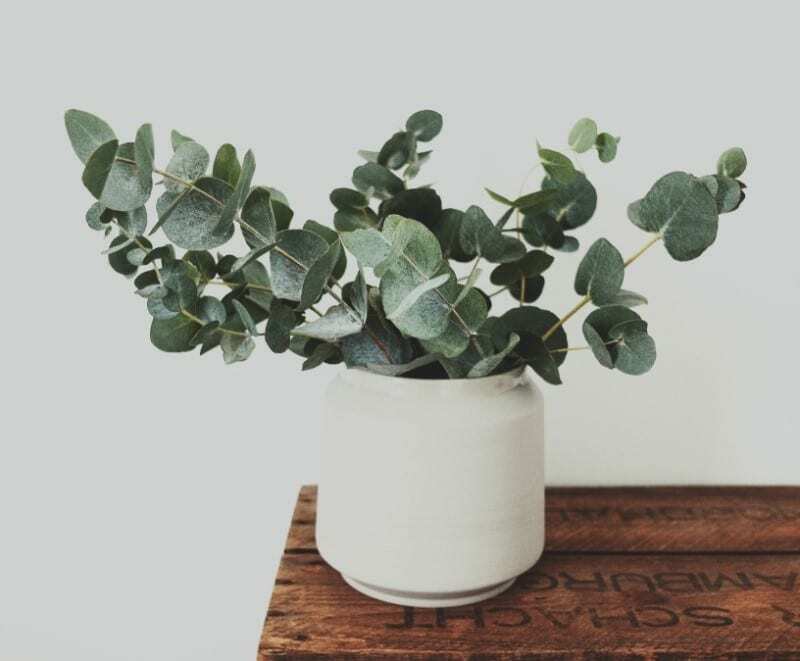 Most varieties of Eucalyptus have fragrant leaves that are a beautiful color – blue, green, and silver variations make this plant brighten up any room. Eucalyptus is easy to grow indoors. Keep it pruned and trimmed back so that it stays bushy and full, otherwise it will quickly shoot up and look too thin. Place Eucalyptus in a bright window facing south or south-west. They prefer either indirect light or full sun. Eucalyptus enjoy moderate temperatures – don’t place them in hot sunlight or the leaves will dry out quickly from the heat. During the winter months, they keep well in a cool room so long as they’re not sitting next to heat sources. Soil for Eucalyptus should be loose and porous so that it drains quickly. Use a premixed basic potting soil for best results. Keep Eucalyptus plants damp but without saturating in water. Let the plant dry out just a bit between watering. During the winter months, water less, keeping the plant even more on the dry side. Eucalyptus is a lovely, fresh scent. This plants give off a lovely aroma in bathrooms where the humidity from the shower brings out the fragrance even more. The amazing fragrance of Angel Trumpet will fill an entire room, infusing the air with its sweet smell. When in bloom, Angel Trumpet is remarkable to look at, with its spectacular trumpet-shaped flowers cascading down. Usually grown outdoors, Angel Trumpet can also thrive indoors if all its growing conditions are met. Pests are highly attracted to this plant, so be sure to check regularly and treat for aphids, spider mites, and mealybugs. 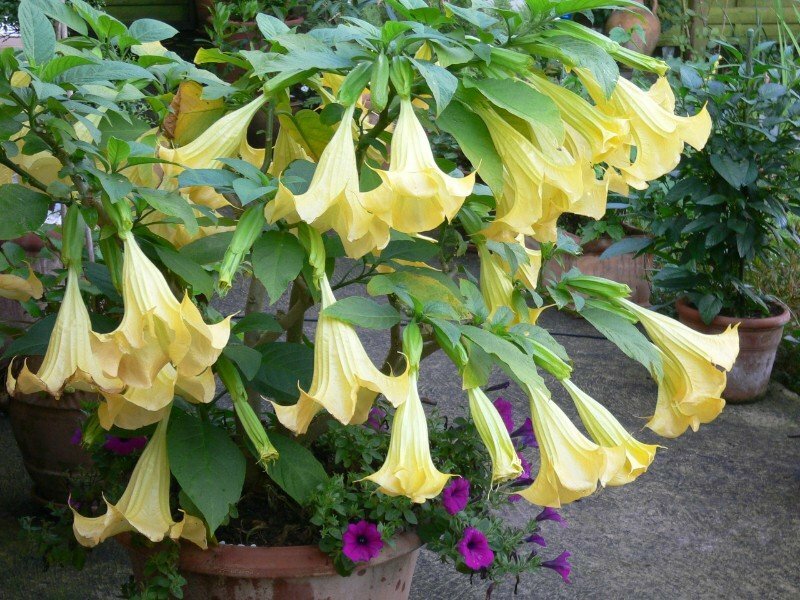 Place Angel Trumpet either in a sunroom or next to a bright, sunny window. They need plenty of light to grow, thrive, and blossom. The best temperature for Angel Trumpet is a daytime temperature of about 75°F (23°C) with nighttime of about of 60°F to 70°F (15°C to 21°C). Angel Trumpet does best in potting soil that is fast draining. Fertilize once a week during spring and summer with a weak fertilizer. This will encourage the plant to blossom. During the growing season, water Angel Trumpet every few days to keep the soil moist and damp but not soaking wet. During the fall and winter, water less frequently without letting the soil dry out completely. Look for one of the new varieties of Angel Trumpet. Some of these new plants have double blooms and more than one color. Enjoy the Divine Smell of Indoor Plants! With this list of indoor plants that smell amazing, you’ll be growing your own plants in no time! Consider growing more than one, adding a different fragrance to each room in your home. I hope you’ve enjoyed this run down of 15 of the best smelling indoor plants. If you’re looking for more help with growing indoor plants, check out my resources section, where I discuss my favorite books, tools and resources to help you keep your plants looking amazing. Quite interesting. I never thought about having a Lavender plant indoors. What a great idea because this is my absolutely favourite plant. And all the information you offer. Thanks a lot.